Over the last four decades the deployment of traditional 12 fiber based connectivity has served the market well. Any data center built to 10G specifications in that time frame most likely used that traditional method. As bandwidth requirements continue to increase, data center managers have started seeking a new solution. Base 8 is somewhat of a new buzzword in the industry and there may be some confusion around what it actually means. With the emergence of 40G networks, manufacturers of transceivers used in server and switching equipment evolved towards the QSFP (quad small form-factor pluggable) type of transceiver. QSFP utilizes only 8 fibers – four of which are used to transmit while the other four are used to receive. Each “circuit” transmits or receives a 10G transmission. If the transceivers are only using 8 fibers, one might wonder how that could affect a 12 fiber system. Prior to the Base 8 solution, it meant wasted capacity since four of the fibers were not being used. This certainly doesn’t mean customers had to accept 33% of their fibers going to waste. One option is to use a ‘transition’ cassette to take two 12 fiber MPOs down to three 8 fiber MPOs, but this is an expensive work around. This is where Base 8 fiber proves its strategic value. A Base 8 solution consists of some combination of either 8 fiber cassettes or adapter panels and an 8 fiber based trunk. For example, a 32 fiber trunk utilizing four Base 8 cassettes on each end would result in 100% fiber utilization for 8 fiber transceiver systems. In addition, there would be no added costs from transition cassettes or devices, and no insertion loss of 12 fiber to Base 8. Base 8 connectivity eliminates historic fiber capacity waste and drives down costs meaning greater efficiency and a healthier bottom line. To date, large financial and healthcare institutions are primarily taking advantage of Base 8 technology. As this technology advances, and demands for higher bandwidth at lower cost continue to increase, strategic benefit of Base 8 fiber solutions will become a serious talking point for most mid-sized to large companies. 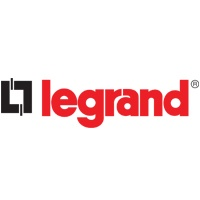 Legrand is a global specialist in electrical and network infrastructure solutions. Legrand transforms spaces where people live and work and delivers access to power, light and data to millions of spaces around the world.